Home → E-Juice → ZampleBox Review – The Best Subscription Box Out There! ZampleBox Review – The Best Subscription Box Out There! Monthly subscription boxes have increased quite a bit in popularity over the past couple of years, and the rate at which they’ve been growing is insanely impressive. Whether you’re looking for a subscription box that’s centered around clothing, makeup, video games, or even for making meals, you can bet there’s a service out there for you. However, what about a monthly subscription box that’s made just for people like us who enjoy to vape? The idea itself isn’t crazy at all, but it’s a field that hasn’t been experimented with a whole lot just yet. Zamplebox is perhaps the most well-known company that’s ventured into the field of monthly subscription boxes for vapes and e-cigarettes, and with so few competitors out there in this field, I thought that now would be the best time to work on a Zamplebox review and present everything it brings to the table. So, without any further ado, here’s by complete and in-depth Zamplebox e-liquid subscription review! 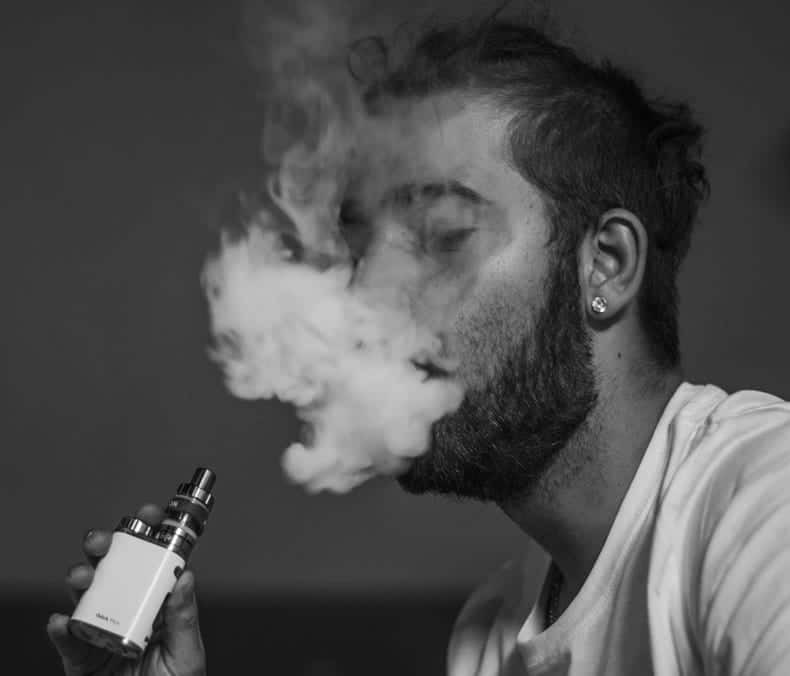 The whole idea of monthly subscription boxes for vaping is still a relatively new concept, but there’s no doubt at all that Zamplebox is one of the leaders of this movement. And so it's quickly creating a lot of talk and a lot of buzz. Some of the main highlights for Zamplebox include an incredibly easy and simple process of signing up for the service, very snappy shipping times, an impressive array of available products and discounts that are offered with each box that is sent out. All of the flavors of liquid that Zamplebox includes with their monthly boxes taste absolutely fantastic, and while I would like to see Zamplebox partner up with some bigger vaping brands, this isn’t nearly enough of a reason to not consider giving the service a try. If you enjoy vaping and messing around with e-cigarettes, it should become clear early on throughout my review on Zamplebox as to why this company is the tops. Upon deciding that you’d like to give Zamplebox a try, you’ll need to visit the company’s website and go through the online signup process. Many subscription box services in the past have dropped the ball in these regards, but this is an area where Zamplebox excels quite a lot. The very first step during the whole process is where you’ll choose your experience with the world of vaping. The three options available to you are Beginner, Intermediate, and Advanced. Although it isn’t very clear as to how this affects what you receive in your box, I’m guessing that Zamplebox tries to send products and items that would be more appealing to these various levels of people who vape. After this, you’ll then choose what flavors you enjoy with your liquid. The options here include Fruit, Dessert, Menthol, Tobacco, and an option titled “Surprise Me!” Choosing this will send you a bunch of the best Zamplebox flavors each month with your box, and you can also choose between the four options as well. So, for example, someone might decide to receive Fruit, Dessert, and Menthol flavors, whereas someone else might want to only receive liquids with a Tobacco flavor. After this, you’ll be prompted with a couple of optional boxes to fill out. These boxes ask you which flavors you try to avoid whenever possible, and other flavors that you’re interested in trying out. This helps Zamplebox to customize your box contents as much as possible, and it’s a really great touch to make the service as personal as possible. Finally, the last step will ask you how much nicotine you’d like to have with your liquids. The options here are 0mg, 6mg, 12mg, and 18mg. While conducting my review, one thing that I noticed the most was how heavily all of the products included in the boxes are discounted. There are three different boxes that Zamplebox sells, including Silver (3 bottles), Gold (6 bottles), and Platinum (11 bottles). These boxes cost $19.99, $24.99, and $44.99 respectively, and I know it may sound like a lot of money each month. But what you’re looking at is saving 40% off of retail pricing for the Silver box, with an even larger savings of 60% off retail with both the Gold and Platinum options. No matter which box you decide to go with, there’s no denying that the savings here are pretty impressive. Being able to score 60 and even 40-percent off of liquids for your vape or e-cig is incredibly awesome, especially if you’re looking for a fun and convenient way to save a few bucks on your e-juice supply. During the process of writing this review, one question that I got asked the most was “How long does Zamplebox take to ship?” No one wants to wait longer than they have to in order to get the e-juice they order. Thankfully I can vouch for Zamplebox’s incredibly fast shipping. If you happen to live in the United States, shipping should only take a couple days for your Zamplebox to get to you once it leaves the warehouse. However if you live in a country like Germany or somewhere else in Europe, expect to have to wait a couple weeks or so in order to get your Zamplebox. Delayed international shipping is a bit of a bummer, but then again, the fact that Zamplebox offers this to folks outside of the US at all is a great plus. Even though this whole review is over the Zamplebox service as a whole, we still need to take a second to do a separate little discuss on the Zamplebox e-juice review of mine. Zamplebox has partnered with a lot more brands and companies since it first launched, and the combination of both this and the ability to choose the flavor profile that you would like to receive for your liquids means receiving some really great tastes each and every month. This is an area that Zamplebox appeared to struggle with a bit in the past, but I haven't experienced any sort of issues with the way my e-juices tasted. There’s lots of flavor there without them ever being overpowering, and the ability to choose exactly what kind of flavors you’d like to receive is a small, yet very powerful addition. One area that Zamplebox still seems to struggle with is getting big and well-known brands to offer their products with the subscription service. I would have preferred to see some names along the lines of Cuttwood and Kilo thrown into the mix, but this isn’t necessarily a deal-breaker for the company’s service. The main idea for Zamplebox is to test out lots of different flavors from a bunch of different companies, with many of these likely being some that you’ve never heard of. I can understand the apprehension behind trying out a e-liquid or e-juice from a name you’ve never heard of before, but trying one of these and then finding out that you really enjoy it can be a lot of fun. You’ll definitely need to be a bit open-minded and adventurous in order to get the most out of what Zamplebox has to offer, and while the inclusion of Cosmic Fog products is a really great touch, I can understand why some brand-loyalists would be a bit weary about signing up with the service. The biggest and most expensive box that Zamplebox offers is the Platinum option, but in reality, I’m not sure who this would be appealing for. Getting 11 bottles of liquid each month might sound enticing on the surface, but in reality, the likelihood of going through that much liquid in one single month is incredibly unlikely. I suppose it is nice to have the option there, but I’m just not so sure it makes any good sense for the majority of people out there. As I outlined above, Zamplebox really lets you tweak each and every little aspect about the box that you receive each month. Being able to select your vaping experience, flavor categories you like, and how much nicotine you enjoy all creates for a very well-thought out and personalized service. Although I already outlined this in the Pros section for my review on Zamplebox, the discounts being offered here are so great that they’re well worth a second mention. Vaping is extremely more affordable than using traditional cigarettes (not to mention a whole lot healthier), but if you’re someone that vapes quite a lot, shelling out money for new e-juices and liquids all the time can get very expensive very quickly. With all of that said, I think it’s pretty easy to see where I stand with my Zample box review. Zamplebox had a bit of trouble with flavor profiling and quality in its early years, but the state of the company right now is fantastic. The e-juice flavors are great, shipping is fast, more brands are signing on, and the signup process is dead simple. If you’ve been looking to get hitched with a vaping-related subscription box, this is one of the best options you’ve currently got. It’s not a good deal though. The cheapest box is 3 bottles for $19.99+$5.99 shipping. Generally your 3 bottles will be worth 3-4 bucks each. So you’re paying $20 for $12 worth of juice. They even include a card in your box that tells you what the flavors are and how much each bottle is worth. I ordered a box $40, I specifically said no tropical, no cereal and other NO flavors. I specifically requested MAX VG due to mild PG allergy. 5 of the 6 bottles were flavors I said I did not want. 2 of them were not marked with VG content and 1 was different VG on bottle from “included menu”. I sent “call me” , email and chat messages to customer service to no avail. I finally got through on the phone line only to be told, NO REFUNDS, NO EXCHANGES. RUN DON’T WALK away from this company unless you just like wasting your money.